Passionatemae | Food has a way of bringing people together: Masterchef Cookbook Giveaway! I have something for you all. 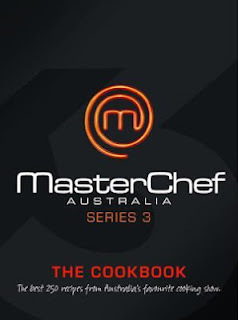 I would like to give away 2 x Masterchef Australia Series 3 Cookbooks (worth $39.99) to 2 of my lucky readers! 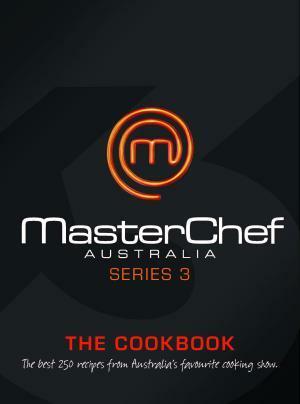 There are recipes, tips, information from guest judges like Nigella Lawson, Maggie Beer, Adriano Zumbo and Neil Perry as well as Masterchef contestants. Thanks to HarperCollins Publishers for sponsoring these awesome cookbooks. Firstly, like my Facebook Page and follow me on twitter Passionatemae and tell me who was your favourite Masterchef contestant. This giveaway is open to all my readers in Australia. Two lucky readers will be chosen randomly. Giveaway closes 12th May 2012 at 12.00pm Sydney time. Winners will be announced on my website. You will have 24 hours to respond if you're the winner otherwise I would have to choose another lucky person. Hi! I liked Kumar the most. He seemed like such a gentleman and was really diverse and clever. 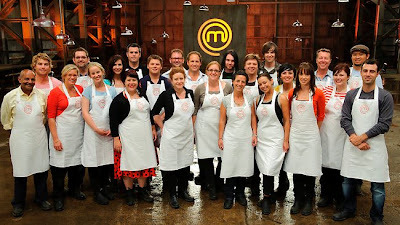 Thankyou for the opportunity; I love Masterchef! Kate!!! i loved her to peices.a mum after my own heart . Kate! i loved her to pieces. a mum with a heart of gold and amazing skills to boot. Kumar was a favourite for me also, mainly because I loved his gentle calm nature and his accent. P.S I don't have a twitter account but have given you a like on facebook. My favourite was Hayden, not only was he good to look at, his food looked amazing too! Jay was my favourite. He seemed so down to earth and really realistic about what he wanted to get from the show. Kumar - he made me smile and was so passionate about cooking. Kate, I find her inspirational. I loved Adam, he was versatile and presented interesting food at times. Kate - she is so inspiring how she has juggled her dreams with that of her family. Marion - the Great 'Grasby'! Hayden Quinn - a SNAG who can cook more than just snags on the barbie! There's so may awesome chef's to choose from.